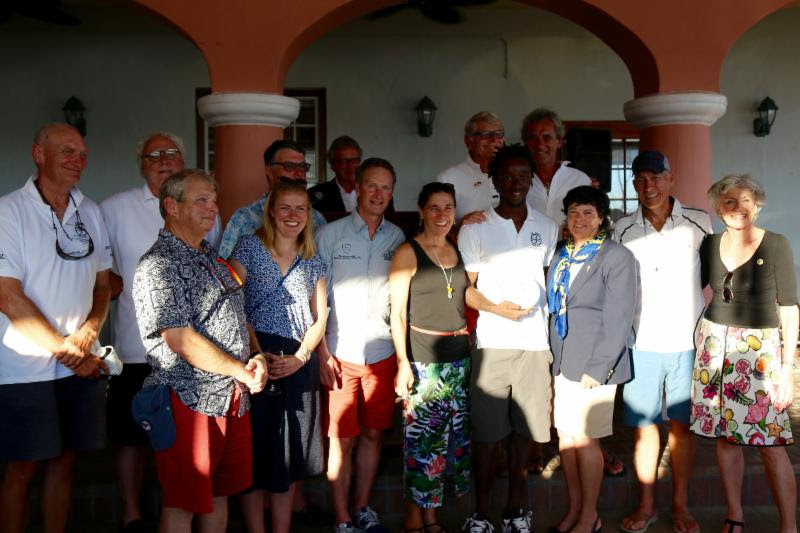 The Antigua Bermuda Race has concluded, with the 21-boat fleet setting off for the 935 nautical mile race at noon on Friday [May 12] and making their way to Bermuda, where a prizegiving ceremony was held at the Royal Bermuda Yacht Club. 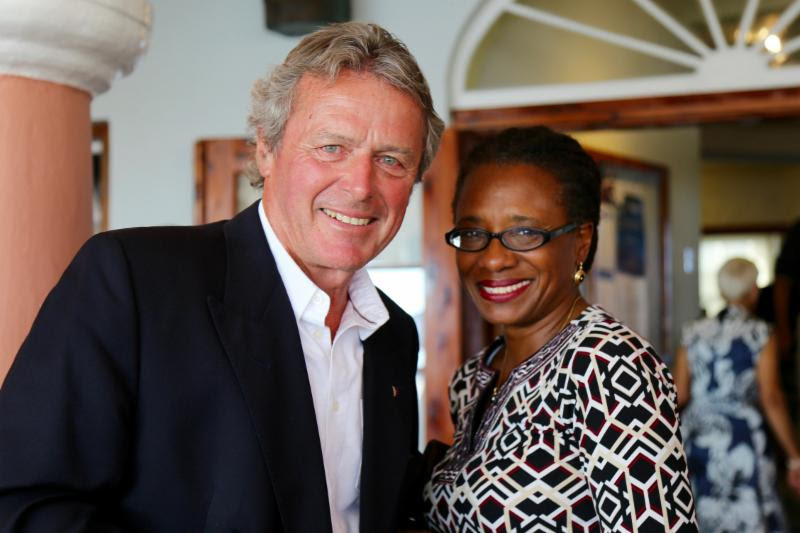 Antigua Bermuda Race Chairman, Les Crane, who was competing in his Farr 56, Monterey commented: “The variety of the fleet shows the wide appeal of the race and bodes well for the Antigua Bermuda Race to grow in future editions. A light southerly breeze of 10 knots and warm Antiguan sunshine provided perfect conditions for the start. The variety pack of 21 yachts was an eclectic collection, both in terms of crew and craft. From the majestic schooner, Eleonora to the pocket rocket Pogo 12.50s, and just about everything in between. The fleet included ocean racers; new and old, as well as bluewater cruisers raced by passionate corinthians. The entire fleet started together and the Antigua Bermuda Race was born. Blogs from the boats started coming in, telling the story of their life at sea during the race: “Old school sailors! The tunes are on, chilled electro 80s by Ministry of Sound and the boys have had a beer considering the conditions. We have had roti for lunch. It looks as if we may set a kite soon and things are looking good,” says Skipper, Ben Bowen on the Oyster 65, Rock Oyster. The fleet enjoyed beautiful conditions for the first day and night and 24 hours into the race all of the fleet had passed Barbuda – the next land they would see is Bermuda, over 800 miles north. About 200 miles north, two low pressure systems were offering good breeze into Bermuda. However to reach the rich pickings to the north, the fleet need to cross an area of little wind. Several yachts elected to use their engines, retiring from IRC but still racing under CSA with a time penalty to come. Three of the fastest yachts in the race continued to impress on the third day; leading on the water was Stephen Murray Jr.’s American Volvo 70, Warrior, ahead of British Swan 82, Stay Calm, skippered by Lloyd Kyte. Don Macpherson’s American Swan 90, Freya put in a spectacular 24-hour run. The three powerful yachts were the furthest west of the entire fleet hoping to get the fresh breeze, but only one yacht managed to hook into the low pressure system, leaving the rest of the fleet in their wake. 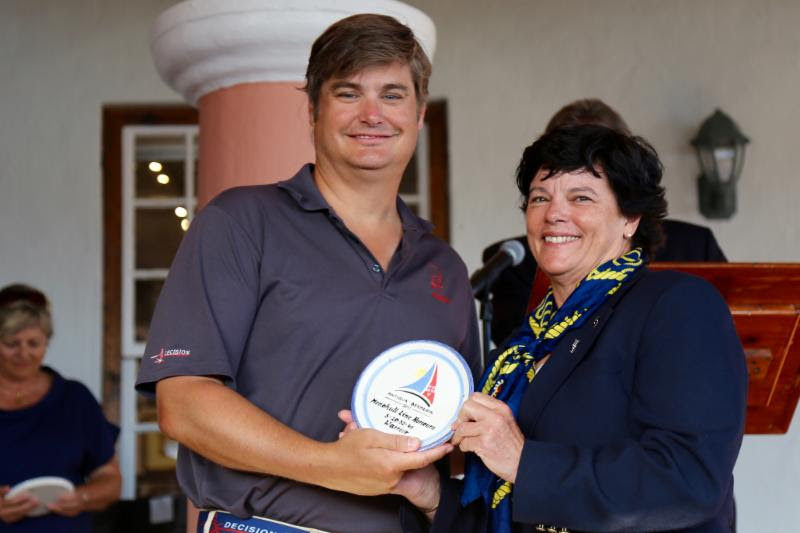 Stephen Murray Jr.’s American Volvo 70, Warrior finished the 2017 Antigua Bermuda Race on Tuesday 16 May 2017 just after 08 hrs 30 mins ADT, taking Monohull Line Honours and setting the new race record for the Antigua Bermuda Race of 3 days 20 hours 32 mins & 41secs. Warrior is operated by the non-profit US Merchant Marine Academy Foundation for the benefit of the Warrior Sailing Program which helps wounded veterans to maximize their potential through the sport of sailing. After all yachts had been accounted for, and after time correction, Warrior was also the winner of both IRC and CSA. 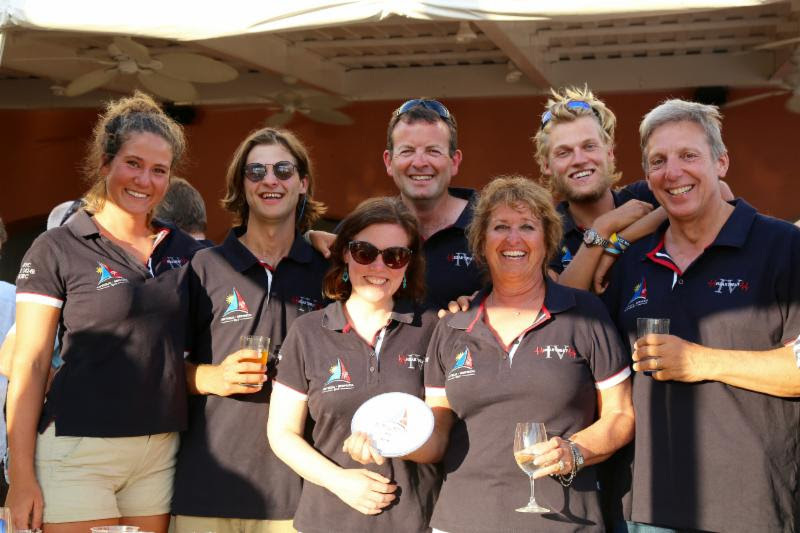 Jeremi Jablonski’s American Hanse 43, Avanti were delighted to take second place for the race in CSA and IRC. “Fantastic!” exclaimed Jablonski. “It is a surprise because we have never raced in such a diverse fleet, so it is difficult to set your expectations when you are racing Volvo 70s, schooners and family cruising boats. “The weather had a tremendous impact on the performance of the fleet. We are one of the smallest and slowest boats and if it had been heavy weather it would have suited the bigger, faster boats. Meanwhile a drama was unfolding 200 miles offshore. The Antigua Bermuda Race Committee were informed by RCC Bermuda Radio on Wednesday 17 May that Les Crane’s Farr PH 56, Monterey had been abandoned after taking on water. The crew were all safe and well having transferred onto the Volvo 60, Esprit De Corps IV from Québec which was close by and also competing in the race. The schooner, Spirit of Bermuda and Whitbread 60, Challenger from Nova Scotia were also monitoring the situation. 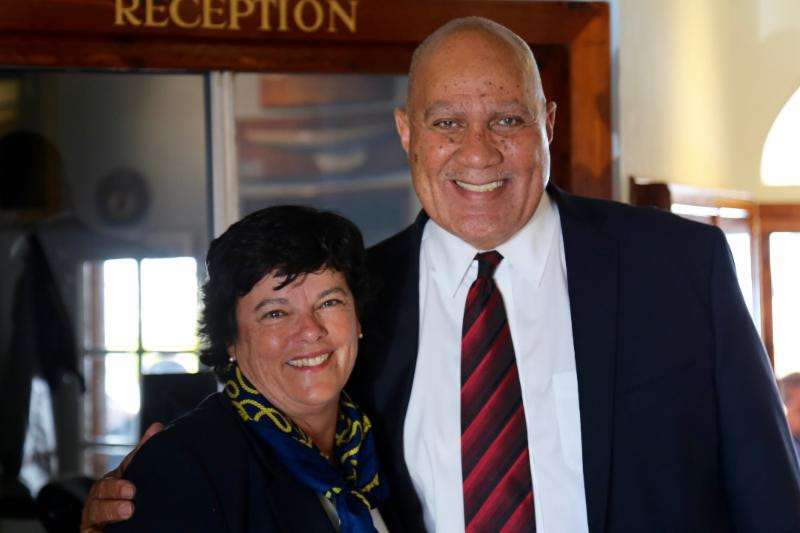 “We are saddened by the news, but we know Past Commodore, Les Crane has completed many miles of ocean crossings as skipper and we know his decision is based on the safety of his crew, and we are glad all are safe,” commented Leatrice Oatley, Commodore of the Royal Bermuda Yacht Club. 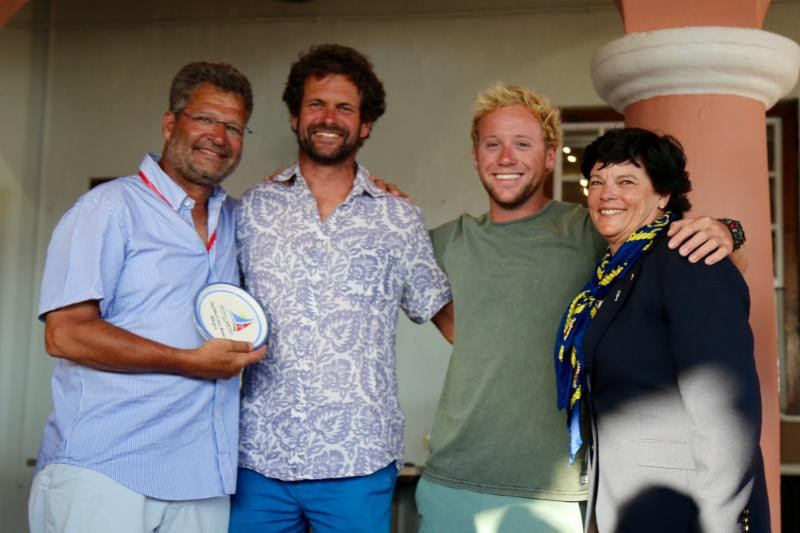 Esprit de Corps IV, skippered by Gilles Barbot finished the Antigua Bermuda Race on Thursday May, 18 after seven days at sea. For the last day and a half of the race, the French Canadian Volvo 60 had six extra passengers. Read the full story here. Four classic yachts competed in the inaugural Antigua Bermuda Race. The magnificent 162ft schooner, Eleonora – an exact replica of the 1910 Herreshoff-designed Westward – took Line Honours for the Classic Class. Eleonora is one of the most famous and best-known racing schooners in the world and will remain in Bermuda for the duration of the 35th America’s Cup. The Ballyhoo schooner, Spirit of Bermuda is the flagship of the Antigua Bermuda Race and she finished on the 18 May 2017 around midday. Carlo Falcone’s beautiful Alfred Mylne-designed 1935 ketch, Mariella was a welcome sight in the race. Carlo is one of Antigua’s most famous sailors and was the 2017 overall winner of Antigua Classics. For the race, Carlo had a small crew of old friends and family from Italy. Tim Wilson’s classic 68ft Australian ketch, El Oro was one of the last yachts to finish the race but did so without using their engine. Subsequently El Oro won the Classic Class after time correction. Spirit of Bermuda was second with Mariella third. 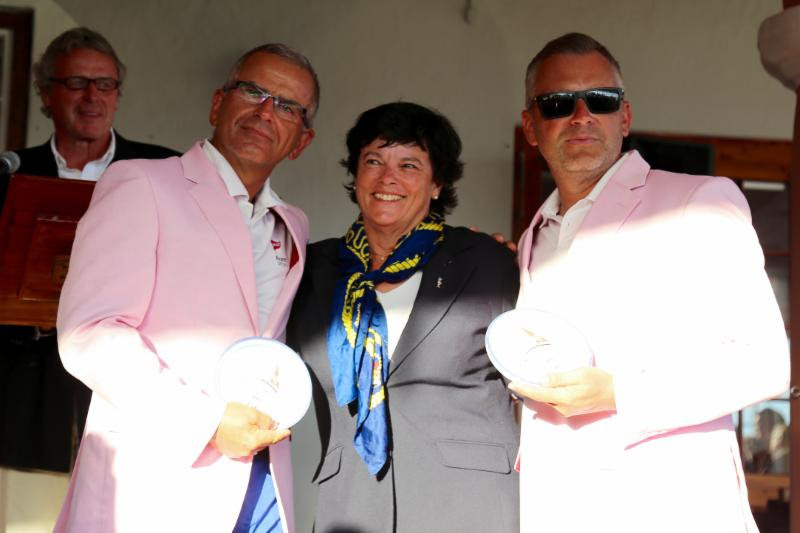 At around midnight on the eve of the Prize giving, Jason and Judy Payne-James’ British Dufour 45, Heartbeat IV crossed the finish line in Bermuda. The final team to finish the race under sail-power alone. Their ship’s log showed 1,007 nautical miles and Heartbeat IV has competed in every well-known offshore race in the Northern Hemisphere. Andrew & Sabrina Eddy’s Oyster 485, Gaia was the final yacht to finish the race. After almost eight days at sea, the team were still full of spirit and wonder at the memorable adventure they had taken together. The ethos of this race is not just about winning, it is about taking part. Here is Gaia’s final report: “It has been a busy few days on board Gaia having been hit by a thunderstorm at 4am on Tuesday morning while flying our spinnaker. This resulted in some slick crew work, leading to a goose-winging opportunity for the next few hours. 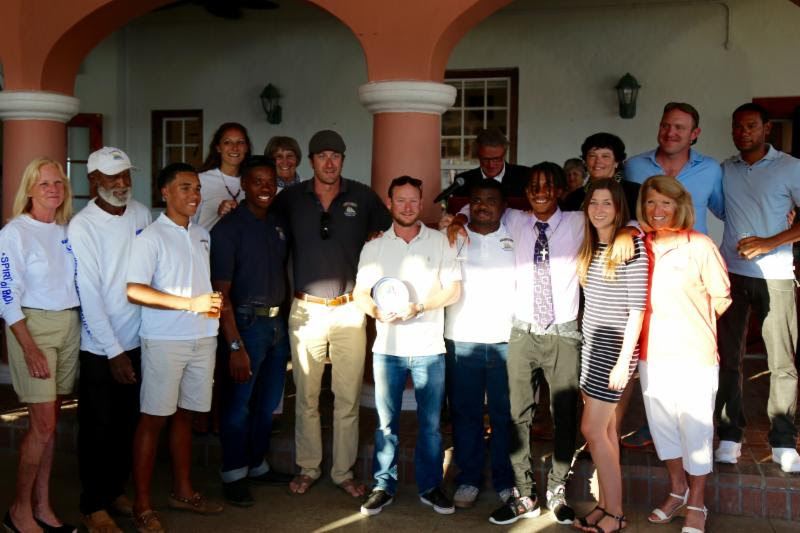 The 2018 Antigua Bermuda Race will take place in the week following Antigua Sailing Week which runs from April 28th – May 4th.